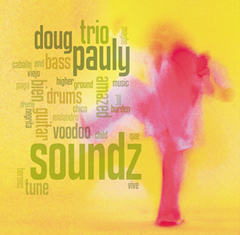 Doug, drummer Daryl van Druff and bassist Paul Klempau present an energetic collection of popular and latin tunes. Listen for The Red Hot Chile Peppers, The Rolling Stones, Steely Dan, Stevie Wonder, Paul McCartney, Jimi Hendrix and Elvis Costello as well as songs from Cuba, Cape Verde, Argentina and Venezuela. Engineered and mixed by Rick Lotter at Good Dog Studio in Sacramento, CA in 2008.